...worn all over the World! Learn More about our Fair Shipping policy! You'll never pay too much for Worldwide Delivery! A super-cute Rainbow Pony dog bandana in lovely bright colours! This is a perfect bandana for any fashion conscious dog, and will definitely make your Dudiedog the centre of attention! This Easter dog bandana is so cute! 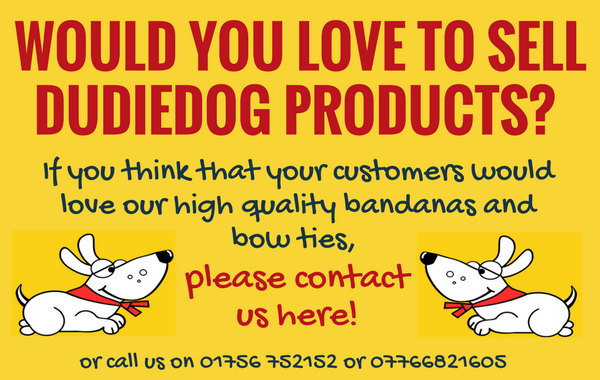 Made from a high quality, premium cotton it's a perfect Spring accessory for your Dudiedog! This gorgeous Moon Rabbit dog bandana is so cute! It's a perfect Spring accessory for any bunny-loving Dudiedog! This Pink Bunny panel dog bandana is SO sweet! 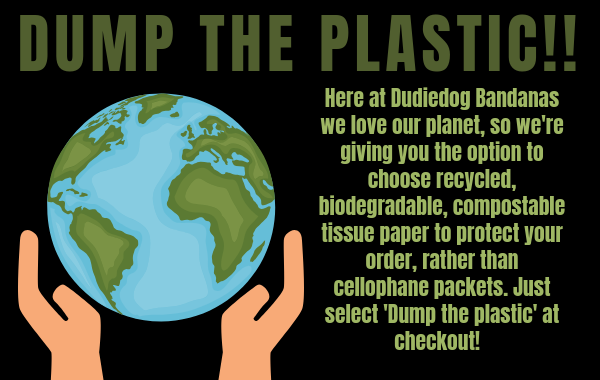 It's a perfect Spring accessory for your Dudiedog, and would make a lovely gift for your best doggy friends! The cutest bunny bow tie imaginable! A perfect spring pet accessory!! This Elephant dog bandana is an adorable accessory for any fashion conscious Dudiedog! Every dog will look super-cute in this high quality pet accesssory! A super-cute Purple Pony bow tie, the perfect dog accessory for any pet who loves to get lots of compliments! A hot, flaming dog bandana for cool Dudiedogs who love to stand out from the crowd! A fabulous Funky Flame dog bow tie, perfect for any super-cool Dudiedog! This premium little Welsh dragon dog bandana is so cute! Perfect for any dog, for any occasion! A stylish Hearts and Paws bandana, the perfect gift for the dog you love most! A stylish bright red Hearts and Paws bandana, the perfect gift for the dog you love most! A stunning super-premium Pansy dog bandana, in shades of deep purple with gold embellishment! This is the perfect floral accessory for any special dog! 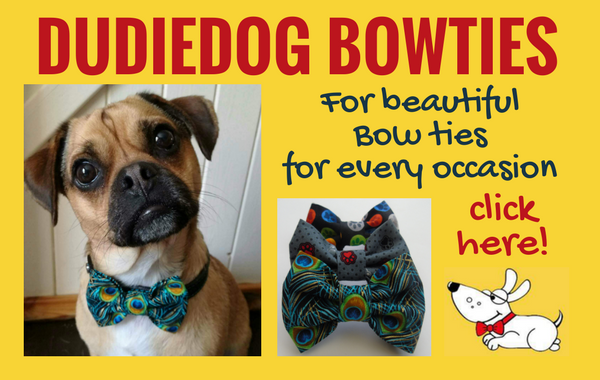 This lovely Prize Rosette bow tie is a perfect stylish accessory for your number 1 Dudiedog! This premium dog bandana is so cute with it's little rosettes! Perfect for any top dog!